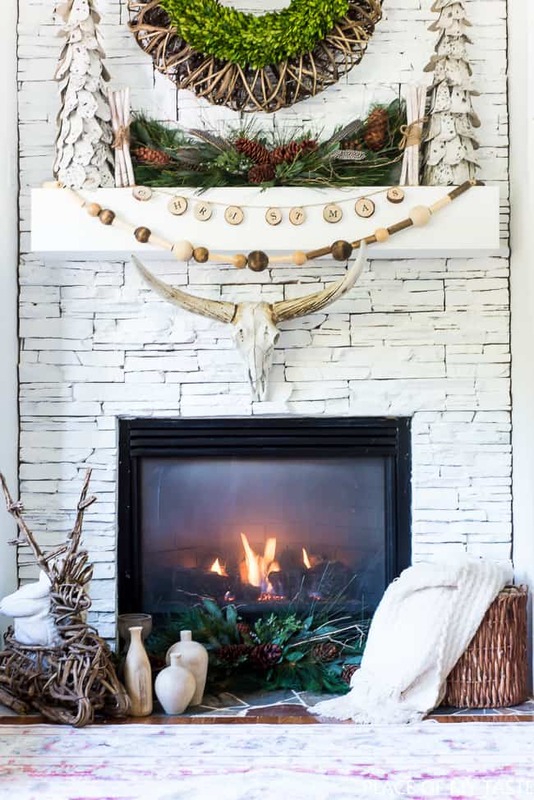 Today I am sharing a fun and Bohemian Christmas mantel decorated for the holidays using neutral and neutral colors, and lots of pretty textures. I love Christmas and this time of the year. I am excited to be part of this wonderful blog hop with many amazing bloggers. 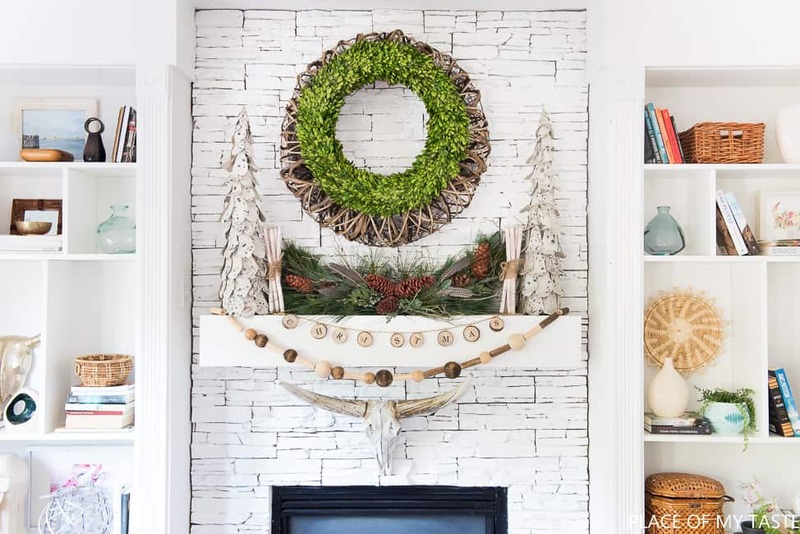 Carrie from Lovely etc is hosting a Christmas blog hop each year, and it’s so fun as we get to see lots of inspiration for holiday decor. Have you seen my Neutral Christmas tree Decor? It’s so pretty! my Christmas mantel this year in a Bohemian style. This past spring we remodeled our living room and it looks a LOT different than it had looked before. Our ugly brownstone fireplace was painted and we added some beautiful built-ins around the fireplace which, of course, makes my decor approach different as well. As always, I use lots of texture, layers in every inch of my home. This year I collaborated with AllModern and picked some wonderful pieces for my Christmas mantel. I instantly fell in love with the large wooden wreath which actually lights up. I added a boxwood wreath on the top and it created the perfect textured look that I was looking for. As always, I use lots of texture, layers in every inch of my home. This year I collaborated with AllModern and picked some wonderful pieces for my Christmas mantel. I instantly fell in love with the large wooden wreath which actually lights up. On the top, I added a boxwood wreath, and it created the perfect textured look that I was looking for. 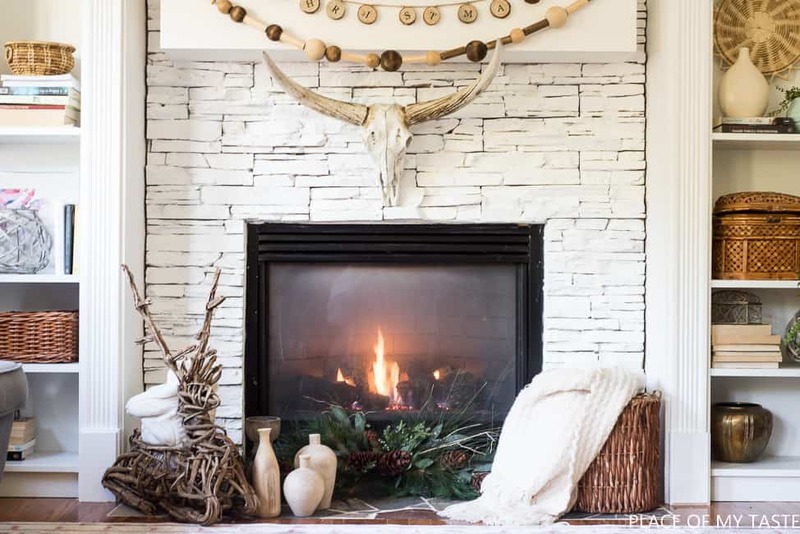 I normally like to add an odd number of objects onto my mantel (SEE MY MANTEL DECOR TIPS HERE), but this time I went with the symmetrical look for my holiday mantel decor. I love how unexpected it is there! 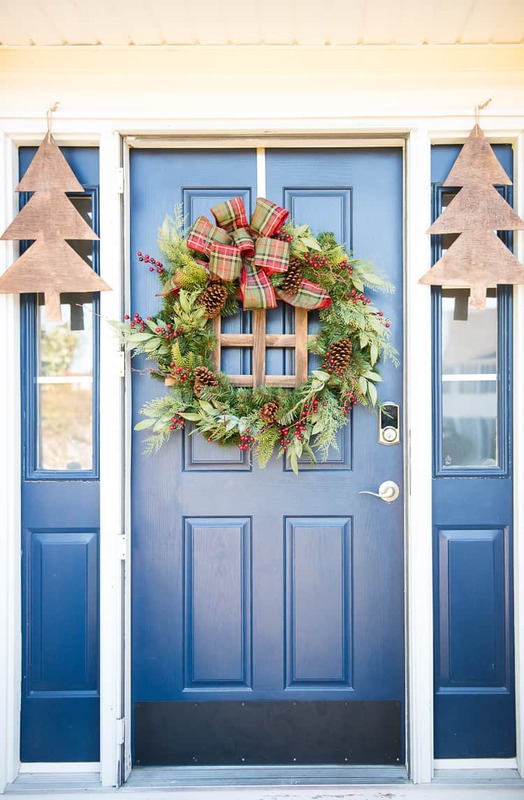 If you missed my fun Christmas front porch decor, check it out!! this is gorgeous! love the beads, christmas banner, and skull together! Aniko this is gorgeous. I love the different garlands. They are perfect for this space. Looking forward to your other spaces this season. Can’t decide which mantel piece I adore most! Artful and unique! 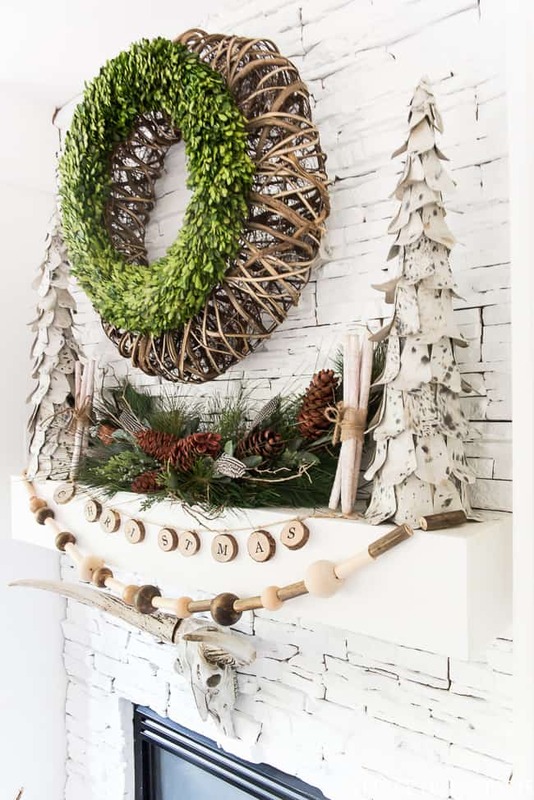 Love the natural feel go it and the way you layer the wreaths. Aniko this gorgeous as always! 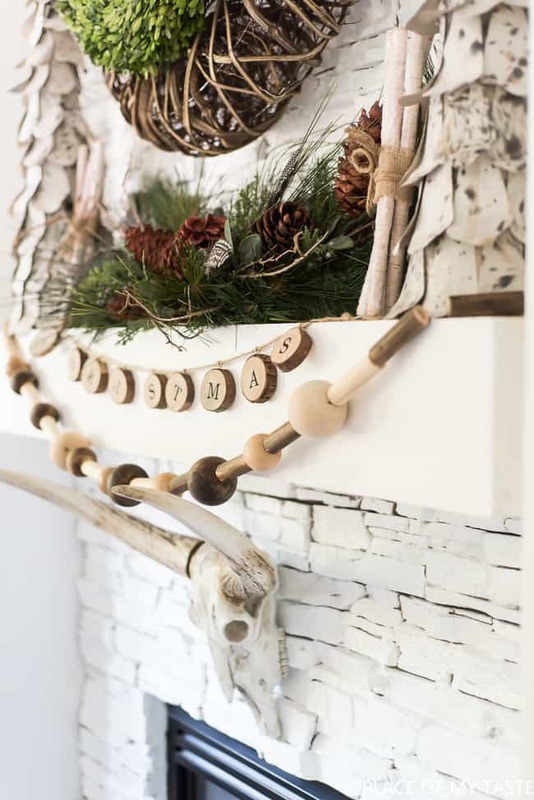 I love the wood beaded garland and all the neutral touches. Your mantel is stunning!!! Love it! Have a very Merry Christmas! 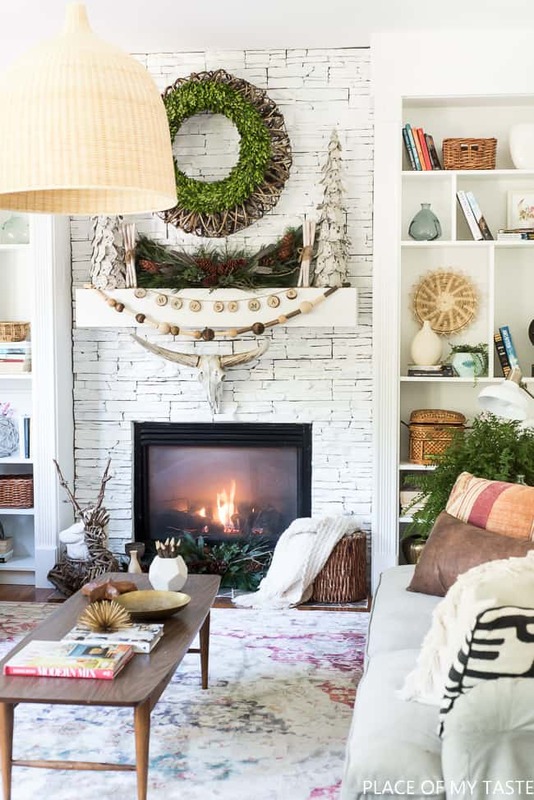 This is gorgeous – I love the woodsy feel to your mantel. Beautiful. Gorgeous! 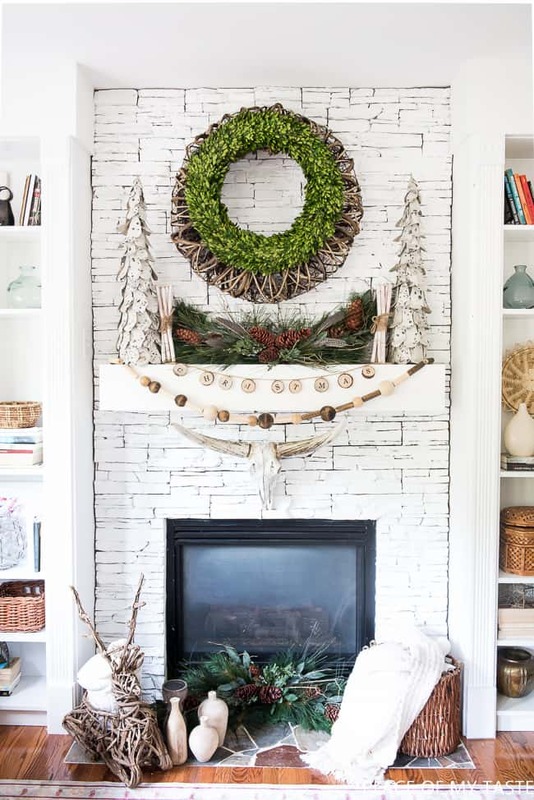 Love your new white fireplace and the garland you made is awesome! I love it Aniko!! And it’s so perfect for your holiday decor!! It all looks just beautiful! Want to come over and do mine for me next year? it’s beautiful! So warm and welcoming, perfectly festive too. I look forward to following the tour. Thank you for the giveaway opportunity. I invite you to stop by and enter my giveaway too Hugs! Absolutely gorgeous fireplace and mantel Aniko!